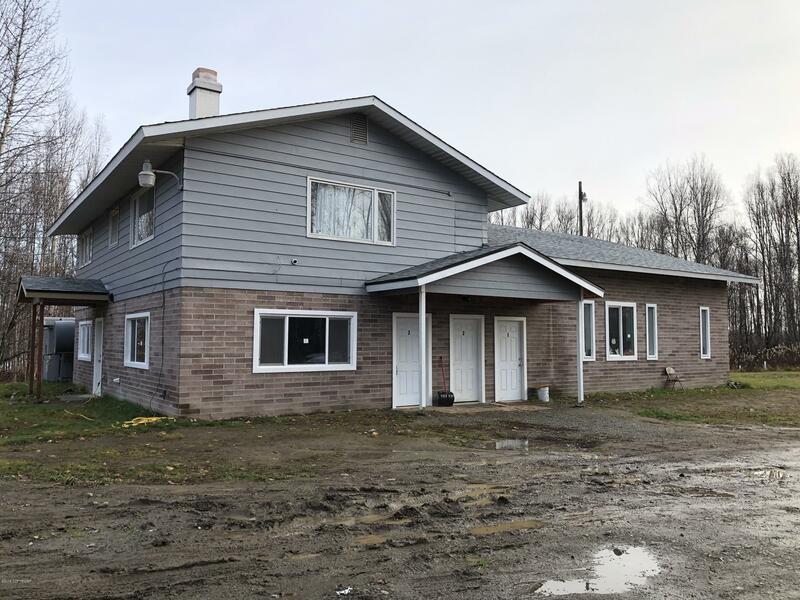 This 3.1 acre 4 plex is an equity builder for sure!New Roof, plumbing and heating. Owner is finishing up remodel but there is still time for your touches. Parks Highway frontage. All units have a washer and dryer, 3 ranch style and one upstairs. Sky is the limit with this one. Build more units or perhaps a storage facility? Bring your toys !.